Step 1: Cut 5 pieces of paper all the same size. 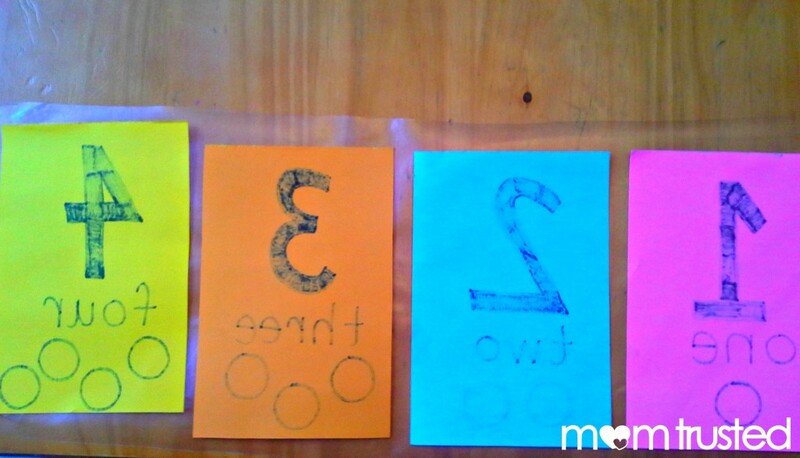 Step 2: Draw numbers 1-5 on each piece of paper. 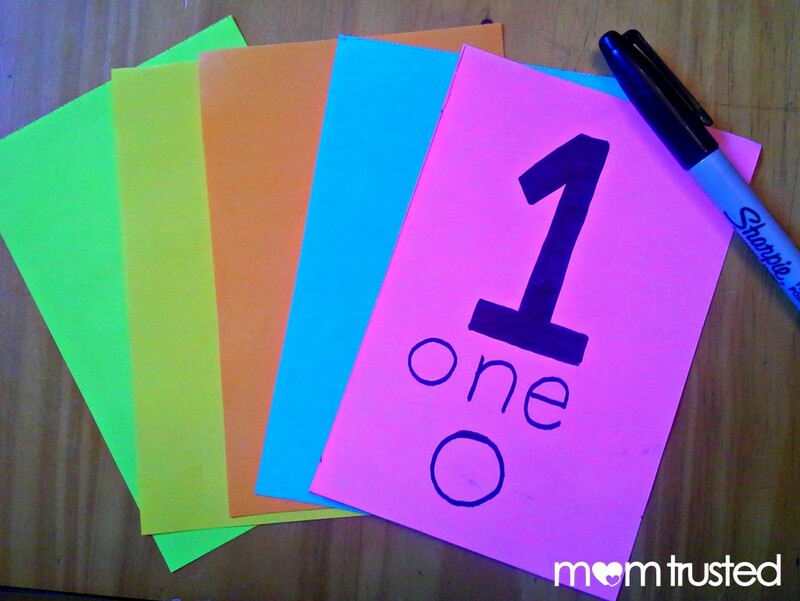 Trace or free-hand small circles corresponding to the number on each page. Step 3: Cut a piece of clear contact paper large enough to completely cover paper. Separate contact paper from the backing. 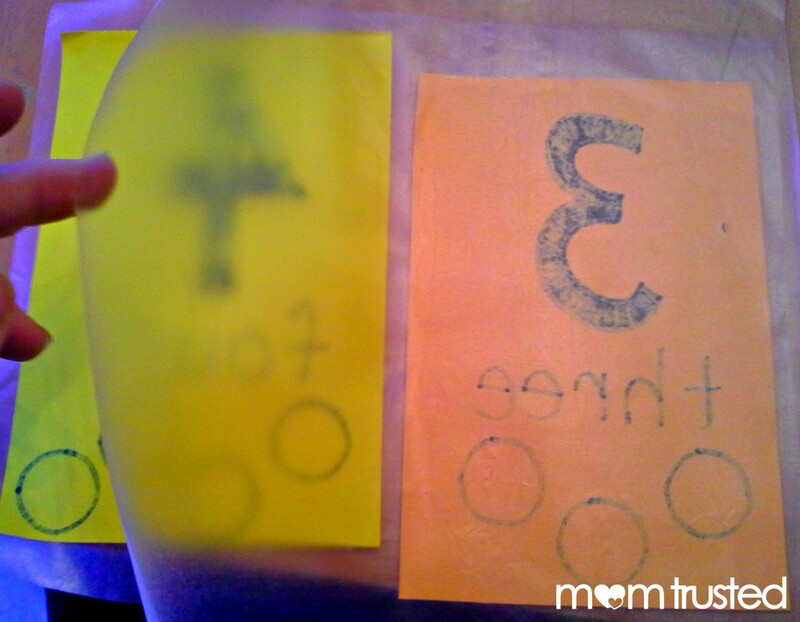 Now place the numbered paper face down on the sticky side of the contact paper and smooth out any air bubbles. 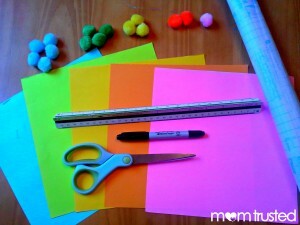 Step 4: Cut another piece of contact paper, peel and place on the back side of the number paper(s). Step 5: Cut off the excess contact paper. 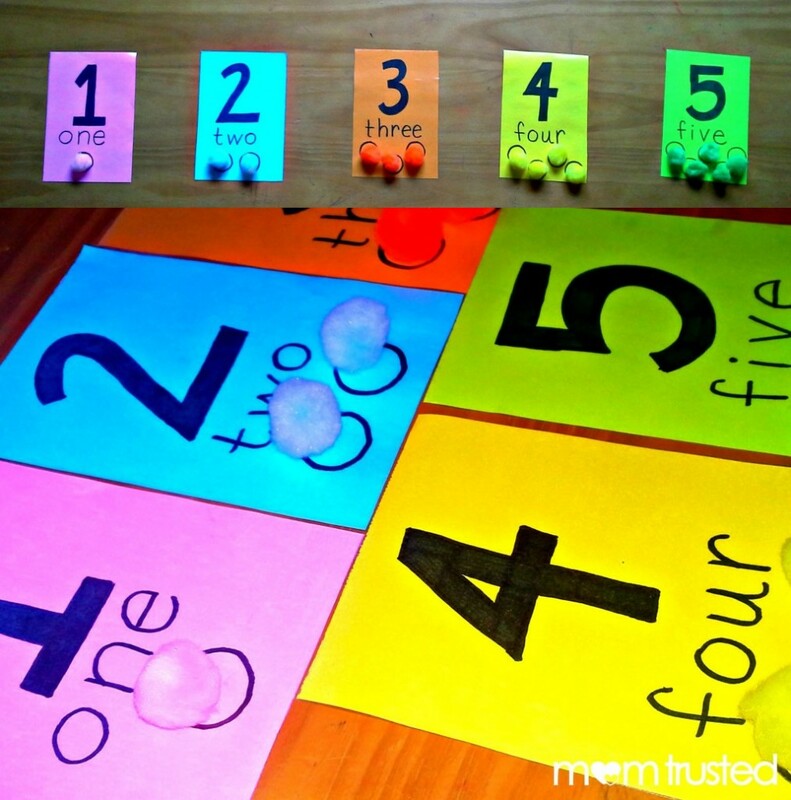 This counting activity is now ready to be used!